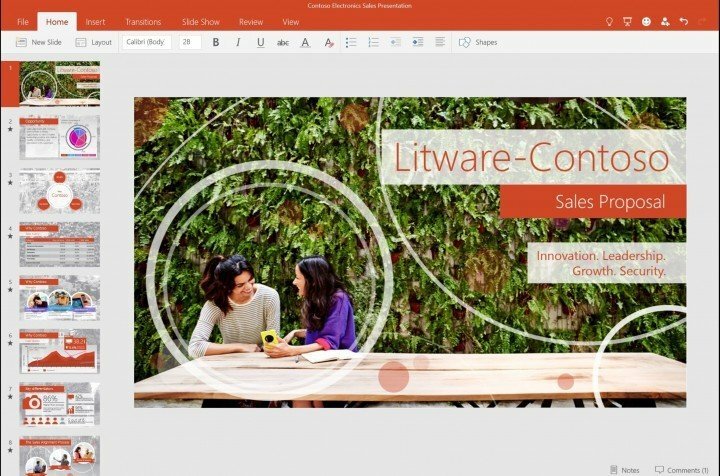 Microsoft recently released technical preview of Word, Excel and PowerPoint app for Windows 10. 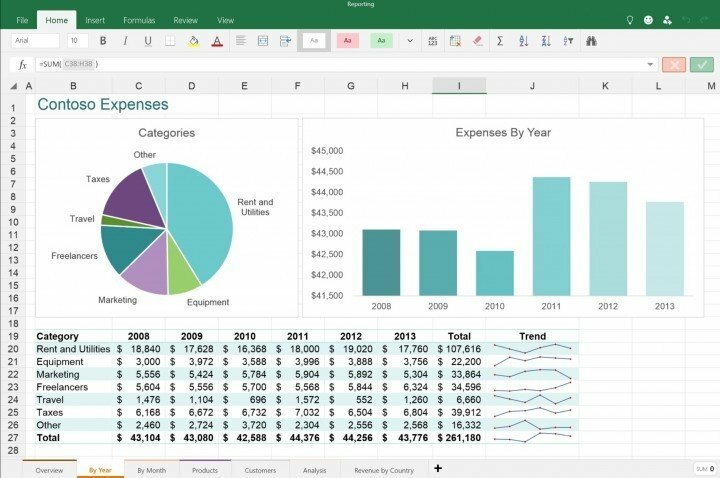 These office apps could be used on various Windows 10 devices, because they’re equally good optimized for all of them. We listed the most important features of these three apps in this article, so take a look. 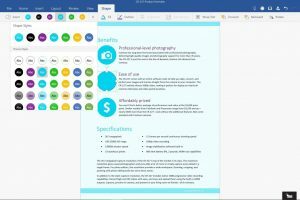 • Microsoft adjusted the view of documents, as they look better on smaller screens, just as they do on larger ones (PCs). 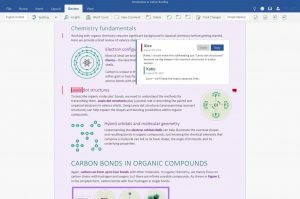 • Images, tables, charts, SmartArt, footnotes and equations are formatted to fit better in the document. 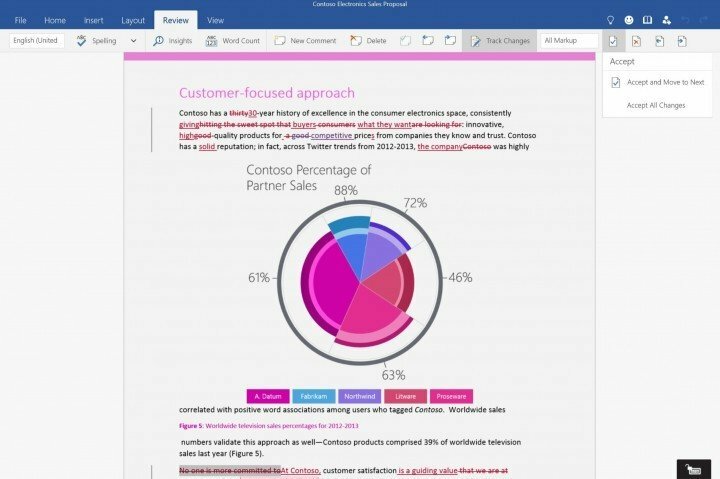 • You’re now able to access, edit and share Word documents from OneDrive, Dropbox and SharePoint. • Word syncing is improved. 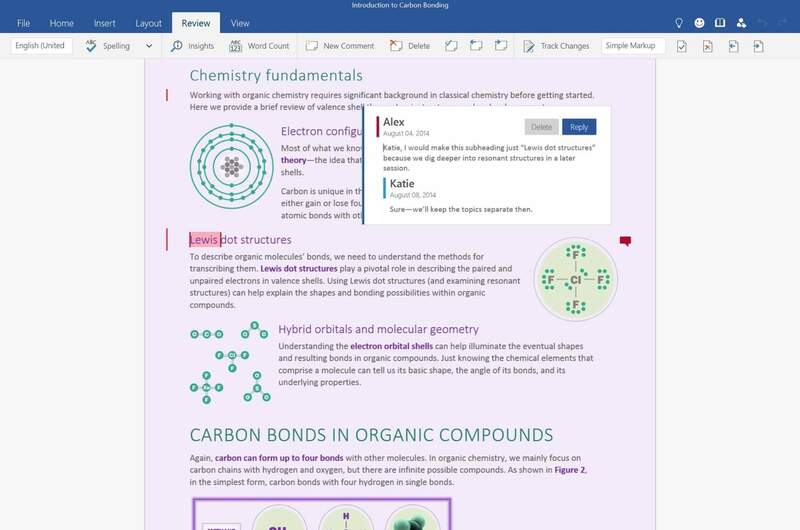 You can edit Word document you were working on last, no matter what device you were using for the creation of a document. Also, when you edit your Word document, it will be edited on all your devices, as well. • Express your creativity and create rich documents, with plenty of fonts, table options, shapes, improved page layout, etc. • All changes made to the documents are tracked, with an option of adding comments. • Share your documents with co-workers or others by sending them a hyperlink of the document. 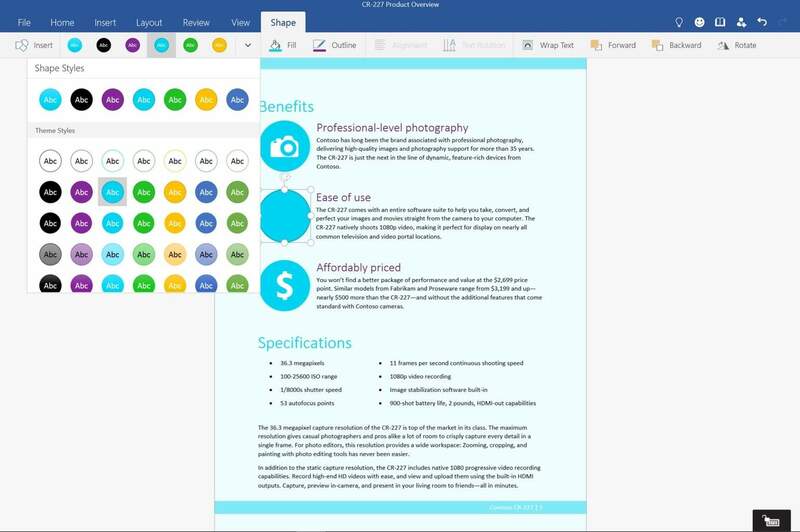 • Word app for phones and tablets now looks more like Desktop version, so you won’t have a problem with familiarity or adaptation. • That’s not all, because some other great features will be introduced in the future updates. 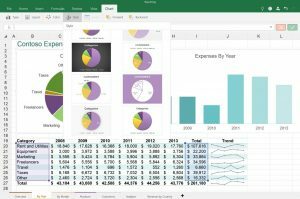 • Just like Word documents, Excel spreadsheets are optimized to look as good on smaller screens as they do on larger ones. 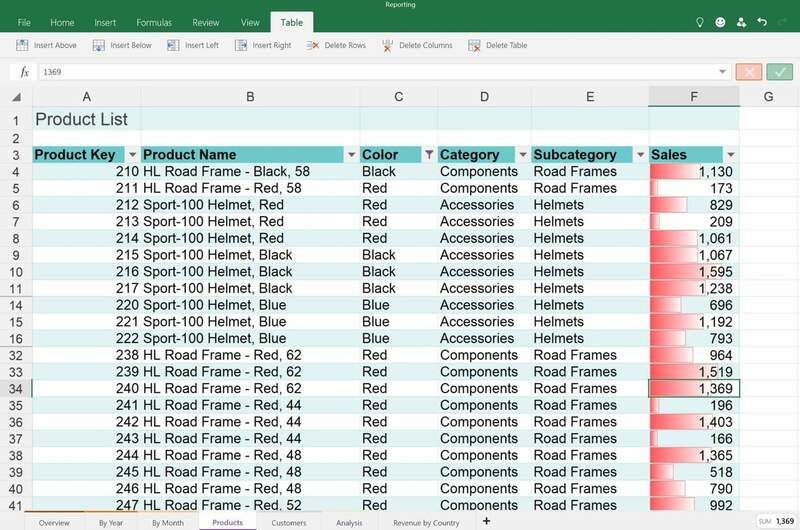 • Formulas, tables, charts, comments, PivotTables, sparklines and conditional formatting are improved with some new options. • Excel spreadsheets also could be accessed from OneDrive, Dropbox, OneDrive for Business, or SharePoint. 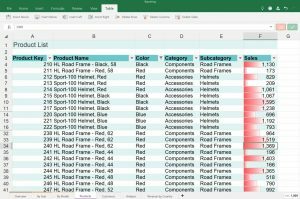 • Microsoft improved Excel syncing, as well, as you’ll be able to edit the last spreadsheet you were working on, no matter the device, you just need to be logged to your Microsoft account. Also, editing a spreadsheet on one device is applied on all other Windows devices. • Create insights from the numbers, with a variety of formulas, charts, tables, PivotTables, sorting, filtering, etc. • Send your spreadsheets to others by emailing the spreadsheet or sharing the hyperlink. • We expect more features from Microsoft in the coming updates, but that’s all for now. •PowerPoint presentations are optimized for smaller screens, as they look almost same on them as they look on larger screens. 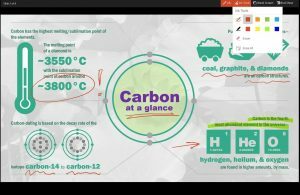 • Images, embedded video, tables, charts, SmartArt, transitions, animations are well formatted and could be used to enhance your presentations. • Built-in laser pointer, pens or highlighters could be used for presenting your presentations. • Store and access all your PowerPoint presentations from OneDrive, Dropbox or Share point. You can also store presentations attached to your emails to these services. 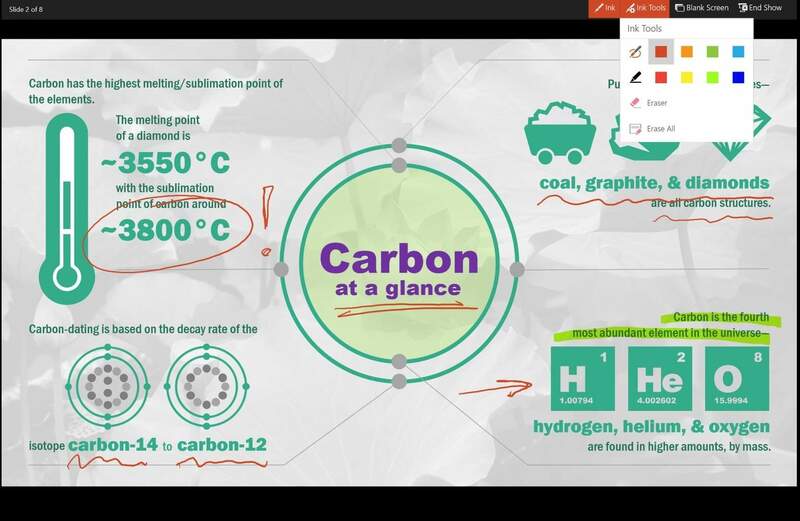 • No matter of device, you can edit the presentation you were working on last, because PowerPoint syncing works better than ever. • Share your presentations by emailing them to others or sharing a hyperlink. • No keyboard required. 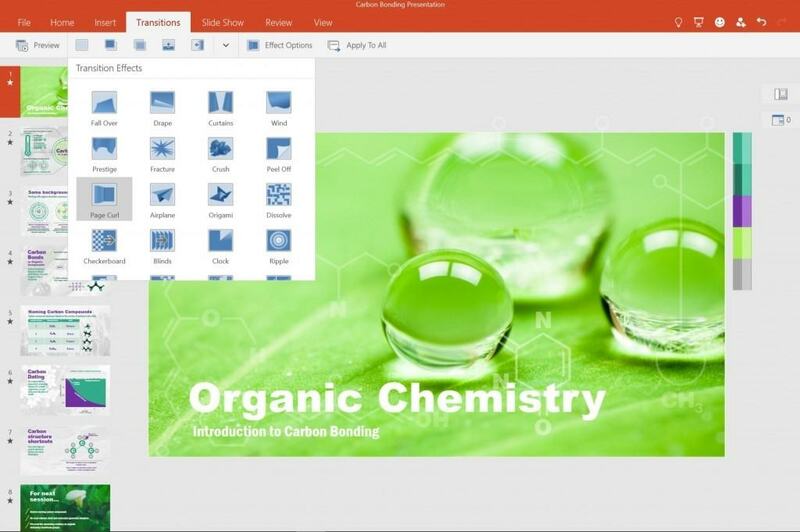 Keyboard is not required for creating presentations, because PowerPoint is now built and optimized for touch environment. 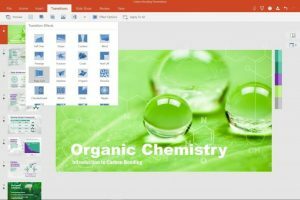 • Some features of PowerPoint are not ready yet, but we definitely should expect new ones in the future updates and builds.